Manchester city officials approved the site plan earlier this year. MANCHESTER, Mo. — Frank Imo is giving diners a second helping of barbecue, this time in west St. Louis County. So far, $620,500 has been invested in the new restaurant's build-out, including land acquisition costs, according to St. Louis County records. Manchester city officials approved the site plan earlier this year. Details of the restaurant's name and when it could open were not available. Imo declined to comment. St. Louisans love their barbecue. Wheelhouse and Start Bar owner Stephen Savage will open a barbecue concept in the former Flying Saucer spot in downtown St. Louis. Mike Johnson's Sugarfire Smokehouse, with eight area locations and counting, is opening in Kentucky, Colorado and Indiana. 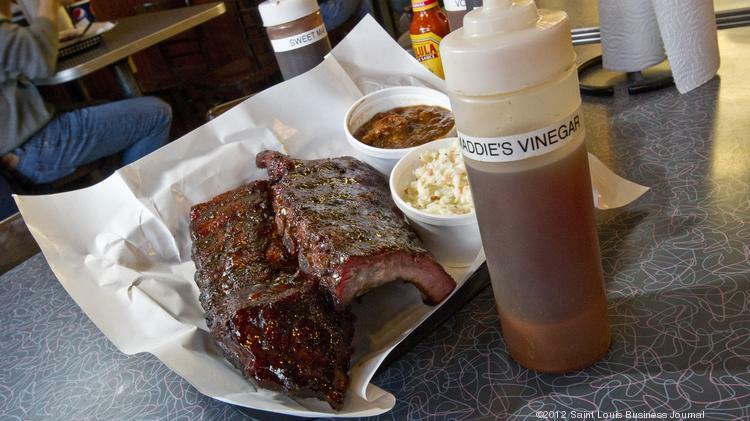 Bogart's Smokehouse, Pappy's and Salt + Smoke have also ranked among locals' favorites. Located in Soulard, Bogart's Smokehouse is the highest-ranked BBQ in St. Louis, according to TripAdvisor. Pictured are the restaurant's ribs.